It would be tempting to say that the 2017 reincarnation of the popular ‘80s animated TV series DuckTales pales by comparison, but that would be like trying to tell people who grew up with Roger Moore that Sean Connery is the better Bond. A whole new generation is being introduced to the new DuckTales, and they have never seen the more traditionally animated ‘80s version. As a result, they also have no idea that the earlier TV series had more color and fuller animation, with characters rendered to reflect what viewers had seen in the last remnants of Disney comic books and voices that still matched what families saw on Disney’s Sunday television programs. 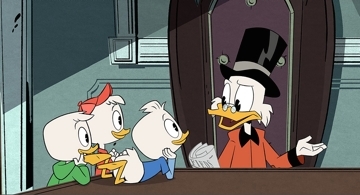 Watching the new DuckTales, this new group of viewers has no idea that Donald Duck’s nephews—Huey, Dewey, and Louie—are drawn more with more rounded heads and barely formed beaks to distinguish them from Donald and his trillionaire uncle, Scrooge McDuck, or that their voices are more contemporary. Just as they’re too young to know the difference, they’re also too young to think it matters. 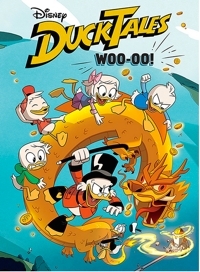 All they care about is if it’s fun to watch, and DuckTales: Woo-oo! is probably as good as any non-educational cartoons currently being produced for children.